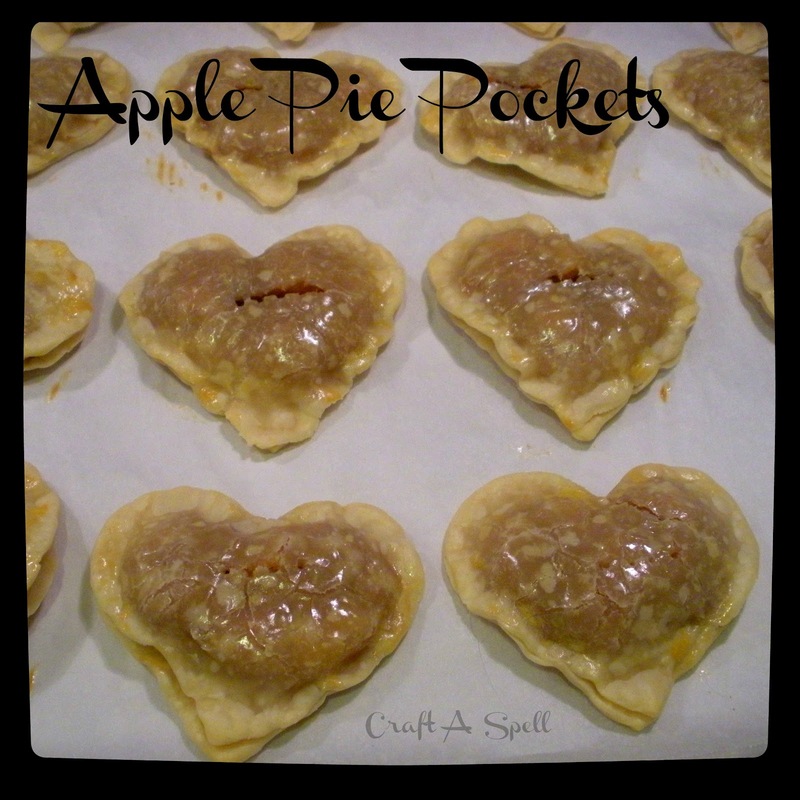 Earlier this week, I shared a recipe for pumpkin pie pockets. 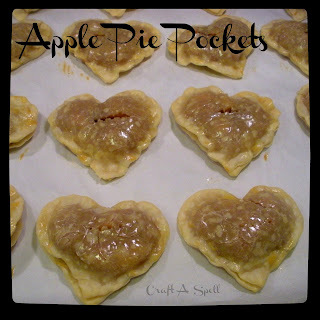 Now, I'm going to share a recipe for apple pie pockets! My family had a debate as to which were better: my mom voted apple and my dad and I voted pumpkin. 1. Peel and core the apples. Quarter them and cut them into slices (not too thick). Set aside. 2. Melt the butter in a saute pan over medium heat. Add the sugars and stir in until dissolved and the mixture is golden brown and bubbling. Add the vanilla and salt. Be careful as this is a caramel type sauce and it can be tricky and will burn easily (we kind of burned ours, I will admit)! 3. Add the apples and simmer uncovered, stirring frequently, until the apples are soft yet firm to the bite (5-10 min). 4. After you've turned off the heat, add cinnamon and the remaining knob of butter to coat the apples evenly. 5. Roll the pie dough thinner than normal. Cut into round/rectangle/any shape you want. I used a heart shaped cookie cutter to differentiate between the apple and pumpkin pie. 6. Add a bit of applesauce (I did one individual container that you would have as a snack) to taste into the apple-caramel mix. Spoon about a tablespoon of filling into the center. 7. Add another pie crust cut out on top and press edges together to seal. Brush with an egg wash right before baking. Poke the top with a fork to let the steam escape. 8. Bake at 350 degrees F on a parchment lined sheet until golden brown and fragrant (varies depending on the size of your pocket but 10-15 minutes). I enjoyed these served warm with ice cream and caramel sauce!